LONG BEACH — For the third year in a row Roy P. Disney and his Andrews 68, Pyewacket, team won the Campbell Cup regatta in late October in the West Coast 70 Class; Mick Shlens won in the Farr 40 class and John Snook won the J/120 class in the two-day regatta hosted by Long Beach Yacht Club and sponsored by North Sails. The weather cooperated most of the time for the 11 boats in three classes. Warm days and light to moderate breezes of 5-14 knots were the order of the day on Oct. 24, but Sunday’s breeze just didn’t fill in. Because of that, the race committee was only able to get one race off on Oct. 25, one less than the scheduled five races for the regatta, but everyone seemed pleased with their efforts for the weekend. Second place in the West Coast 70 class was Ed McDowell’s Santa Cruz 70, Grand Illusion, just three points behind first place. 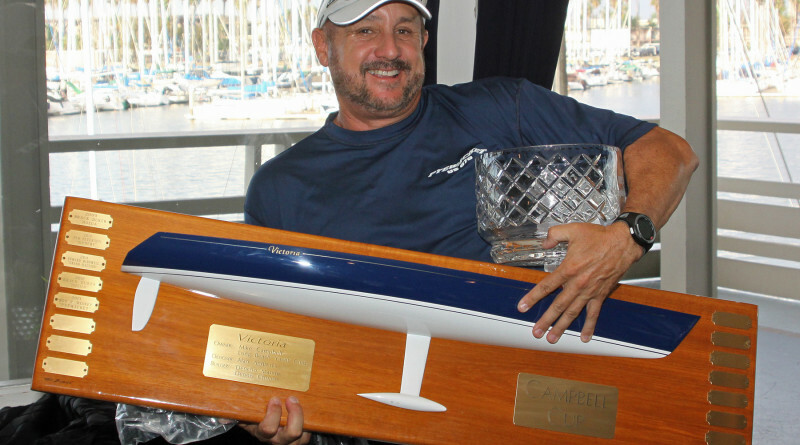 Shlens’ Farr 40, Blade II, dominated their class with three first-place finishes and a second in the last race. He credits his team with their victory; Eric Champaign, Phillip Guhl, Chris Hugh, Don Schultz, Marlene Schlens (Mick’s wife), Jennifer Arlington, Ted Winer, Daniel Gussman and Jennifer Hylander. The second place winner was Chris Vilicich’s Cal Maritime team. In the J/120 class Snook’s boat, Jim, mirrored what Shlens did in the Farr 40 class in winning his first three races and taking a second in the fourth race. 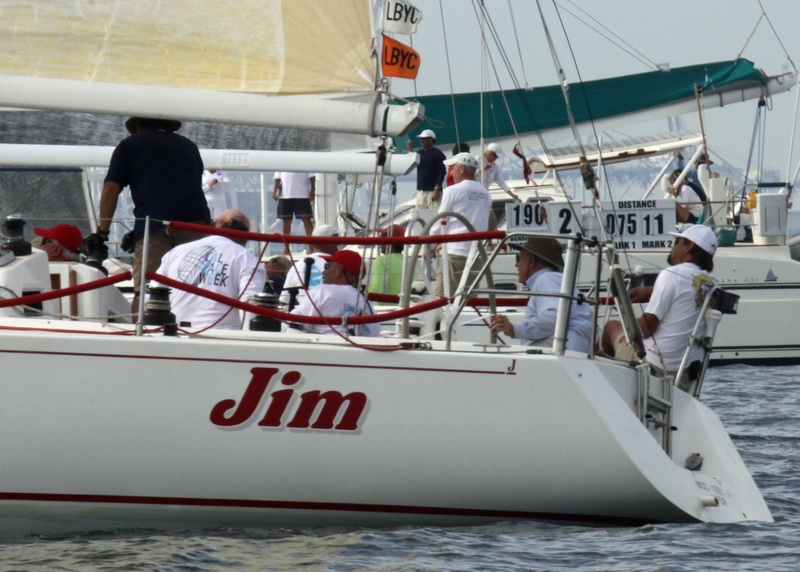 The regatta, named after legendary sailor and big-boat supporter/owner, Mike Campbell, was organized by him in 2006 as the 70s Invitational. Campbell wanted to sponsor a regatta with the purpose of bringing together big boats for a fall event. When he passed away in October of 2008 it was decided in 2009 the regatta would be renamed as an appropriate tribute for the regatta Campbell started. Victoria Campbell, wife of Mike Campbell, was on hand to present trophies to the top finishers in each class. Complete Results also available at lbyc.org.